Caroline Darbos and Mark Henderson are counting on diamonds for ITER's electron cyclotron heating. Aside from being forever, diamonds have several very specific qualities: they're harder than the hardest of metals—think of diamond-studded drill tools—and they are much more "transparent" than glass. Sit by a plate diamond window and the sun's ultraviolet rays will give you a tan as dark as if you had been sitting outside in the sun. This together with other properties, such as their heat-dissipating capacity, makes diamonds very interesting for fusion devices. In ITER, the machine's electron cyclotron heating system will use the largest synthetic diamonds ever produced. The electron cyclotron heating system is sometimes presented as a giant microwave cooking system. Radiofrequency waves are generated by an array of devices called "gyrotrons" located some 100 metres away from the tokamak in order to avoid perturbations from its magnetic field. A "wave guide" leads the radio waves to the chamber wall which they must pass in order to transmit their energy to the electrons inside the plasma chamber. Since both the gyrotrons and the chamber have to remain vacuum tight, and since the radiofrequency waves propagate in a manner similar to light, the only way to get them out of the gyrotrons and into the chamber is through a window—a diamond window. "We cannot use ordinary glass for this," explains Caroline Darbos, engineer in the electron cyclotron team, and Mark Henderson, the physicist responsible for the system. "It would melt under the heat load. About 1 MW of power has to go through these windows. And glass is not a good thermal conductor nor is it sufficiently transparent to the 170 GHz frequency we're using." Optically, thermally and structurally, diamonds are an ideal material. "They're just a bit costly," says Henderson. ITER's heating system will require some 80 diamond windows—56 for the vacuum chamber, one for each of the 24 gyrotrons. Each window is 1.1 millimetres thick and ranges between 67 and 106 millimetres in diameter. The price for one is EUR 30,000 to EUR 100,000. Manufacturing synthetic diamonds is a slow and quite secret industrial process based on carbon plasma—heated by an electron cyclotron system very similar to the one used for ITER—crystal growth and precision polishing. It takes about two weeks to "grow" a disk of 1.1 mm thickness. 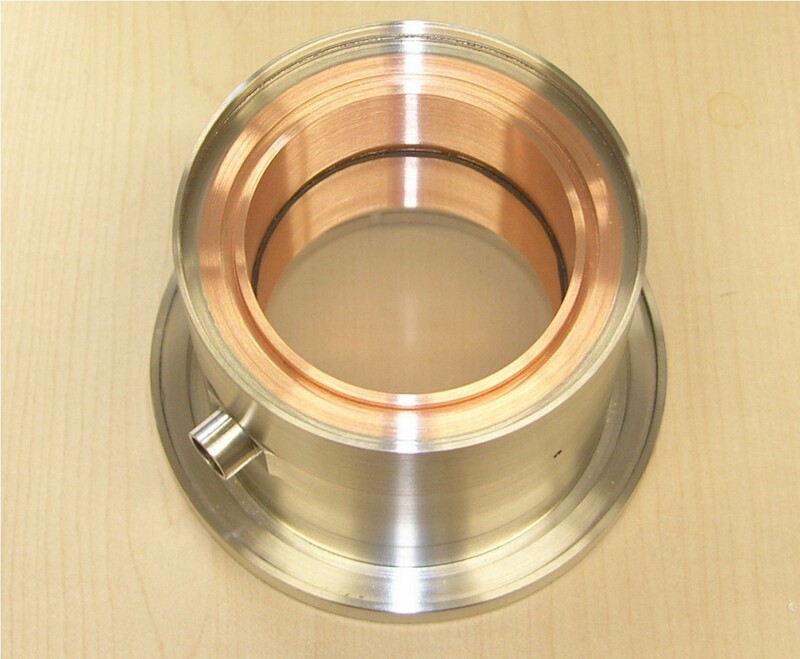 The diamond windows for ITER are currently being tested in a joint collaboration between Forschungszentrum Karlsruhe (FZK) in Germany and the Japan Atomic Energy Agency (JAEA). And, sorry, despite strong demand, Caroline and Mark cannot provide free samples.